Restaurants today are looking at EMV pay at the table solutions, which have been available in Europe for several years now. Our team can advise you on which set up is the right solution for your restaurant. Some of the available solutions include the wireless Verifone Vx680 credit card terminal and the latest pay at the table hand held devices that integrate with the Talech POS system. As well as those of Oracle (formerly Micros), and POSitouch. Some of these solutions even have auto tip adjust so staff does not have to manually do tip adjust at the end of each shift. This is a HUGE time and cost saver. 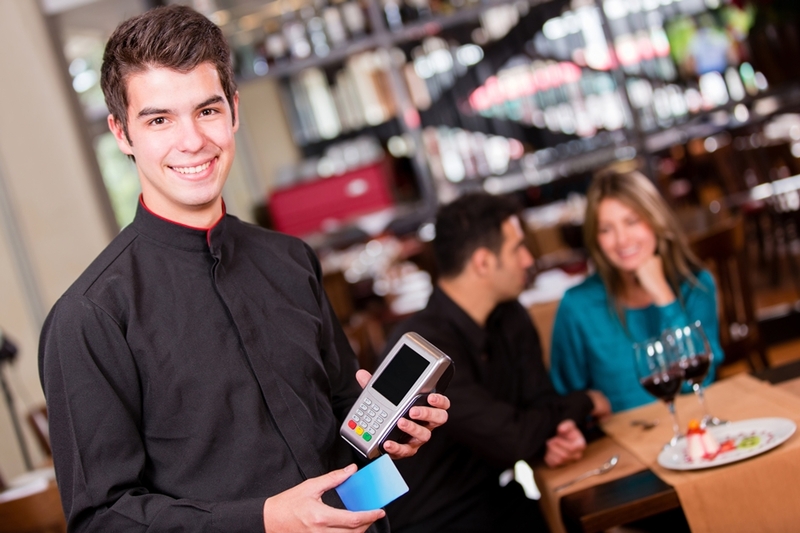 We advise restaurants on true EMV pay at table solutions. Our solution ensures that the transaction data and credit card holder’s personal financial info is encrypted and transmitted directly to the processor’s servers, instead of passing through the POS system where the data might be stored. Most major credit card data breaches take place at the POS system level with old POS systems that have not be upgraded or integrated to accept chip cards. If a restaurant is still swiping credit cards using old technology, they are exposing their business to considerable risk in three significant ways. Risk Number 1: A data breach requires the business to notify all card holder customers of the breach and the business will likely have to hire a forensics expert to analyze the breach as well as accountants and attorneys. This will disrupt the business, cause loss of reputation and likely a drop in the revenues of the business. Risk Number 2: If the business did not upgrade to EMV equipment then their general commercial insurance policy will not cover the loss or expense required to notify customer card holders and experts to deal with the data breach. Risk Number 3: The business will likely get a fine from Visa, Master Card and American Express because of the breach and not upgrading their equipment. These fines can be several thousand dollars to millions, depending on the size of the business and the size of the data breach. Risk Number 4: Depending on several factors, including the number of fraudulent transactions or breaches the business has suffered in the past and the size of the data breach Visa, Master Card and American Express could actually terminate the credit card processing rights of the business to even accept credit cards from customers, forcing the business to be a cash only business. Getting notice that your merchant account is being closed can have serious consequences for your business. Risk Number 5: By using EMV pay at the table solutions, the business can avoid “friendly fraud”. This is the type of fraud a business suffers when a customer runs up a big bill and knows the business has not upgraded to EMV equipment. Some customers that notice the business is still swiping cards and not processing the new chip cards can contest the transaction and business will lose hands down. We have seen this happen at restaurants where a few people go in and run up a large bill only to play dumb and contest the transaction later on. Contact us for information on EMV pay at the table solutions that fit with your business. We even have some solutions that will save you time having to manually do tip adjust at the end of each day. Also, some of the features include loyalty programs and CRM tools so you can monitor customer satisfaction and deal with issues before an unhappy patron decides to post on social media. We are a full solutions provider. We provide a free analysis to all businesses (wherever they are located), and can also help businesses with EMV Pay at the table solutions so they can accept “chip cards” even if their current POS system is swipe only. This saves them fees associated with non-PCI compliance, chargebacks associated with counterfeit credit cards and even charge backs related to friendly fraud. We consider ourselves experts when it comes to advising merchants on various POS solutions no matter which particular system they are using. We are not tied to a particular POS company and can advise a business on which POS system may be right for their particular business, large or small. We provide merchant processing solutions to a variety of businesses across multiple business sectors such as restaurants, dry cleaners, dentists, veterinarians, liquor stores, auto repair shops, auto body shops and retail stores, to name a few. 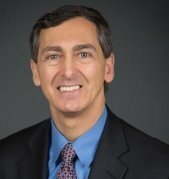 Joseph LaRocco, has advised numerous businesses on security issues and loss prevention related to credit card fraud. Businesses should be aware that processors are now raising rates and charging merchants more for processing if they do not comply with the new EMV guidelines and upgrade to the new terminals for processing chip cards. Through our processors, we are currently one of the few groups able to offer what are true Micros EMV pay at the table solutions for the Micros 3700 series and Micros 9700 series of POS systems commonly used in the restaurant industry. If you are looking for some advice on EMV pay at table solutions, feel free to give Joseph LaRocco a no obligation call and we will be in touch with you promptly. We are always available to answer any questions you may have and provide a free analysis and quote to reduce your monthly costs.